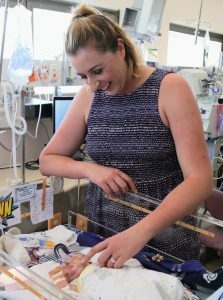 A world-first therapy, using cells from the human placenta to repair the damaged lungs of premature babies, is giving hope to families of the most fragile infants like Flynn Minieri. Flynn was born unexpectedly and extremely premature at just 25 weeks, weighing 990 grams. Like many babies born too early, he developed the chronic lung disease bronchopulmonary dysplasia (BPD) as a result of the lifesaving respiratory support he was on. 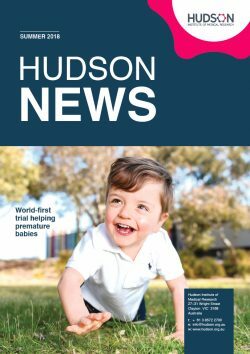 With parents John and Kirsty Minieri’s consent, Flynn took part in a world-first safety trial, run by a team of scientists and clinicians at Hudson Institute, Monash University and the Monash Children’s Hospital. Now 19 months old, their ‘little fighter’ Flynn is a happy toddler, and he’s slowly needing his home oxygen support less and less. This first-in-human trial is the culmination of 10 years’ research by a multidisciplinary team including Dr Rebecca Lim, Dr Atul Malhotra and Professor Euan Wallace. 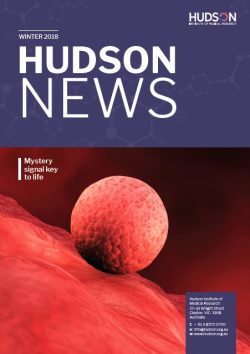 The results were published in the journal STEM CELLS Translational Medicine. “BPD is a devastating disease, and these babies often suffer severe and life-long conditions. When we tackle lung disease, the risk of developing many other life-long problems that go hand-in-hand with BPD, such as cerebral palsy, is also reduced,” Dr Rebecca Lim, joint lead researcher, said. 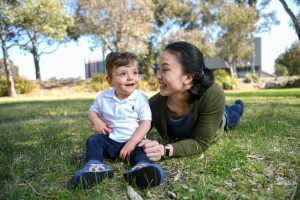 Flynn Minieri, now 19 months, who was part of the trial and Dr Rebecca Lim who pioneered the research to help premature babies. Six premature babies with BPD were given a single low dose of amniotic epithelial cells in the safety trial. These cells come from part of the placenta that surrounds the baby during pregnancy, and work by attaching themselves to damaged lungs and kick-starting the lung’s own repair process. The results were excellent, showing donor cells are well-tolerated and safe for use in babies, with some premature babies even showing a slight improvement. The team is now starting a larger Phase II trial involving 24 extremely premature babies at risk of developing BPD to determine the optimum cell dosage and frequency. “Our long-term aim is to develop a treatment that could be rolled out in hospitals around the world,” Dr Malhotra said. Dr Lim progressed the research as the inaugural Fielding Foundation Fellow in 2015-16. This Fellowship was established thanks to the generosity and foresight of Melbourne businessman and philanthropist, Mr Peter Fielding to support the careers of the Institute’s emerging science leaders, and ensure their life-saving work reaches our community. 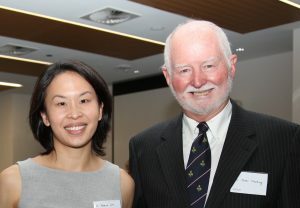 Of all the projects we have been honoured to be involved with, Dr Rebecca Lim’s work on BPD has been the most emotionally gratifying,” Mr Fielding said. 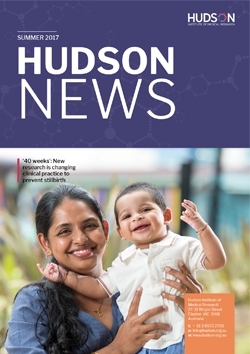 “We are delighted that Dr Lim’s work in this area of medical research is progressing positively and if the results from these first trials continue to be replicated, the benefits for premature babies around the world will be breathtaking,” he said. 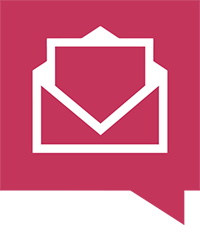 Bronchopulmonary dysplasia (BPD) is the most common disease affecting premature babies. Up to 60 per cent of extremely premature babies will develop BPD. The smaller the baby, the greater the risk and the greater the severity of the disease. Babies with BPD may suffer severe lifelong complications, including impaired neurodevelopment, and are highly susceptible to airway infections that may lead to death. BPD affects the alveoli, the tiny sacs in the lungs that enablethe entry of oxygen into the bloodstream and the clearance of carbon dioxide from the body. BPD occurs when immature newborn or premature lungs are exposed to mechanical ventilation and long-term use of oxygen. While life-saving, this breathing support can also cause damage to tiny developing lungs. There is currently no cure or safe and effective treatment for BPD. What are amnion epithelial cells? An amniotic epithelial cell is a stem-like cell extracted from the lining of the inner membrane of the placenta. They have ability to grow into any cell in the body, in a similar way to stem cells. Each placenta produces about 150-200 million amnion cells.